Each year, Bakewell Media provides a relaxing and upscale experience for the festival’s chairs, co-chairs, sponsors and partners during the Taste of Soul at the VIP courtesy tent. The purpose of the courtesy tent is to extend gratitude to the elected officials, community leaders and local organizations who have continued to support the vision and mission of Taste of Soul. In the tent, city officials, organizations, notables, and business executives who were accompanied by their friends and family, were served cuisine from Mrs. Bea’s Catering, along with desserts and refreshments from other Taste of Soul food vendors while listening to smooth R&B and old-school hits provided by a live DJ. 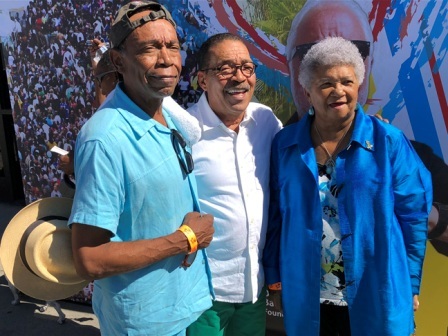 The Los Angeles Sentinel had the opportunity to speak with a few of the VIP guests and celebrities who attended the 13th annual family festival about their Taste of Soul experience and the importance behind the event. Wesson goes on to say “given all the craziness” going on in the world; people deserve to have a good time. “It just grows every year and everybody looks forward to it and I am happy to be a small part of it,” he said. This year Taste of Soul was also sponsored by Bank of America. 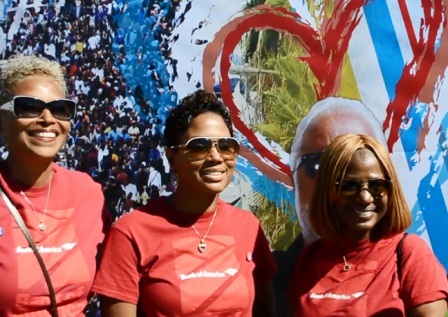 During the event the Sentinel spoke to Bank of America senior vice and relationship manager in business banking Gwen Givens-Jones, vice president and strategy execution manager in home loans Telebah Woods, and vice president of small business banking Lisa Woodson. Actress and dancer Vanessa Bell Calloway who is most known for role as princess Izzi in the legendary 1988 comedy “Coming to America” also stopped by the VIP tent. “The Taste of Soul has been in the community and we love the Sentinel and everything they do,” said Calloway. “They have supported me through my career, my family and our business which we run here in Leimert Park, the Regency West, so when they call, we coming running. Next, the Sentinel spoke to one of the executive producers and director of OWN’s “Black Love,” Codie Elanie Oliver. “I have been in L.A. for 11 years but this is my first time at the Taste of Soul and I am super excited,” said Oliver. 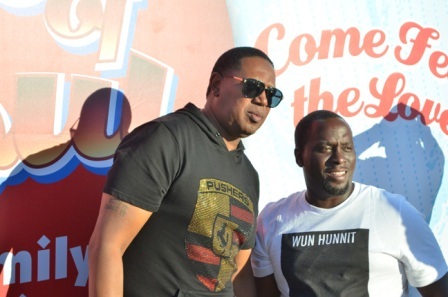 To view the full video of the Taste of Soul VIP tent interviews please visit www.lasentinel.net.